You’ll notice over half of the inside of the iPhone is devoted to the battery, and the rest is chips, circuit boards, a heat shield over the processor, ribbon cables, and all the other good stuff you find if you crack open any iOS device. 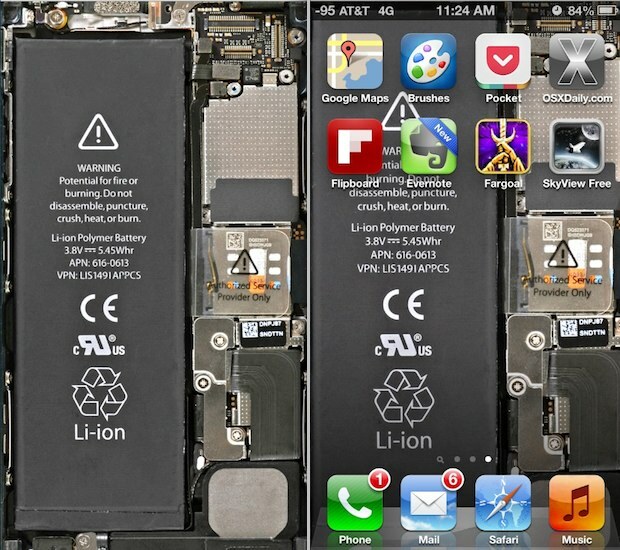 If you don’t have an iPhone 5 yet, iFixIt has done this in the past with wallpapers for iMacs, iPads, and other iPhones too, each of which should strike your geek fancy. no its from the front, the unibody construction makes it open from the top. so the screen comes out first, and this is what u see.